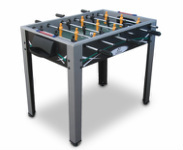 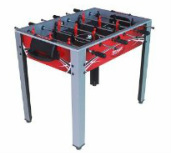 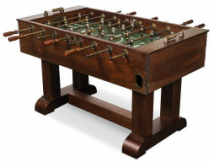 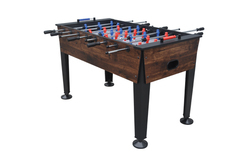 This full size soccer table is great for hours of competitive play and entertainment. 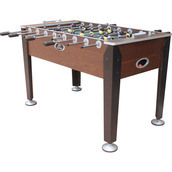 Brought to you by the EastPoint company, they are known for offering retail and department store quality tables that are average for home use. 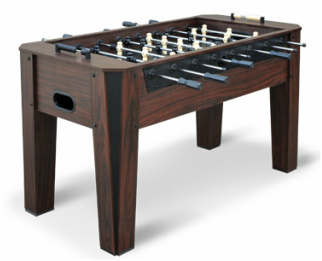 You likely won't find these tables in tournament play, but they are great for owning in your home for the recreational player. 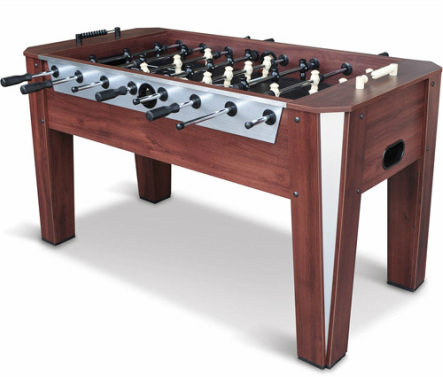 There are a few cons of this table vs. some of the others on the market such as robot style players, end ball returns, and non-adjustable legs.